Regular maintenance of your horse trailer can help you avoid costly repairs and extend the longevity of your trailer. 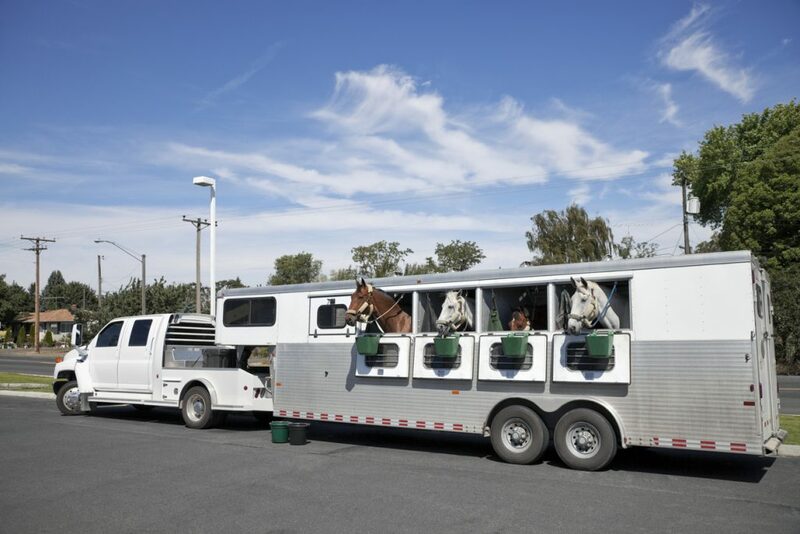 By taking proper care of your horse trailer, you will not only extend the life of the trailer but also ensure your safety and the safety of your precious horses as well. For the most part, you should be able to maintain your horse trailer yourself. Between proper cleanings and checking to ensure everything this working properly, you can avoid a lot of hassle. While you can really maintain your horse trailer yourself for the most part, you will still need to be sure that you have proper professional maintenance as well. You will also want to check your tires and ensure they are properly inflated before heading out on the road. Along with the tires, you need to check your lights as well as do a walk around just to make sure you are safe, functioning, and ready to go! Your work hasn’t ended when you get home from your trip. There are things that need to be done in order to make sure you are ready to go for the next adventure. Clean the floors. These get messy and if you don’t clean them right away then I promise, you won’t want to later. Make sure your electrical cord is unplugged. Coil it up nicely but don;t cover it because that can cause it to hold in moisture. Lubricate your coupler. This keeps the mechanisms ready to slide freely and go when you are ready to take your trailer out again. Every once in a while you will want to go over your trailer and do a few things to keep it hauling right. Check the wheel lugs for tightness. Trust me, you don’t want one of these flying off! Check the brakes. Checking them regularly will ensure you don’t run into a failure when you are driving. Once or twice a year, you will want to have your Horse Trailer professionally serviced. If you are in the New Jersey area, we have an excellent maintenance and service staff ready to help you out. Having your trailer professionally serviced can uncover any unforeseen issues, and things that wouldn’t be noticeable to the untrained eye. During these checks, you can get your fuses replaced, any minor repairs that need to be done can be completed, and then you will be on your way! Are you looking to upgrade your trailer? Go to Crossroadstrailers.com , the premier New Jersey Trailer Dealer to search for the perfect trailer for you. The R-Pod by Forest River is the first of its kind. A travel trailer that offers affordable luxury at the lowest tow weight in its class. With a unique shape and construction, the Forest River R-Pod really is a perfect example of form following function. 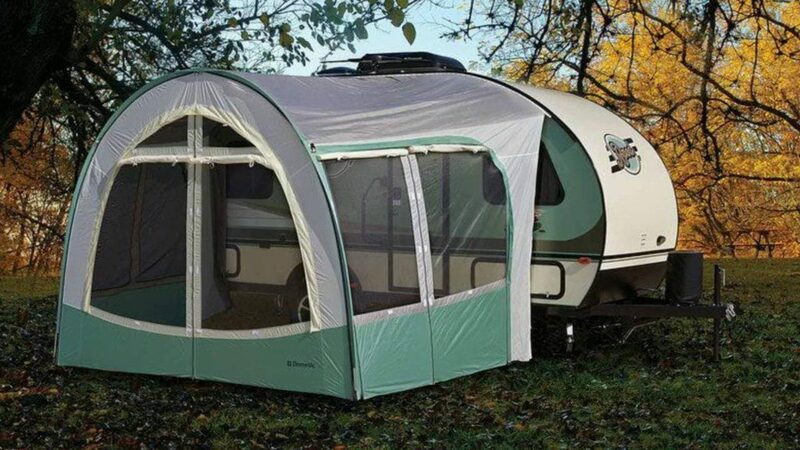 The unique design of the R-Pod travel trailer will appeal to all sides of your personality. Your practical side will love the affordable price tag and low tow weight. While your more adventurous side will adore the shape and unique construction perfect for boondocking or glamping! Don’t think that Forest River has forgotten about the luxury though. 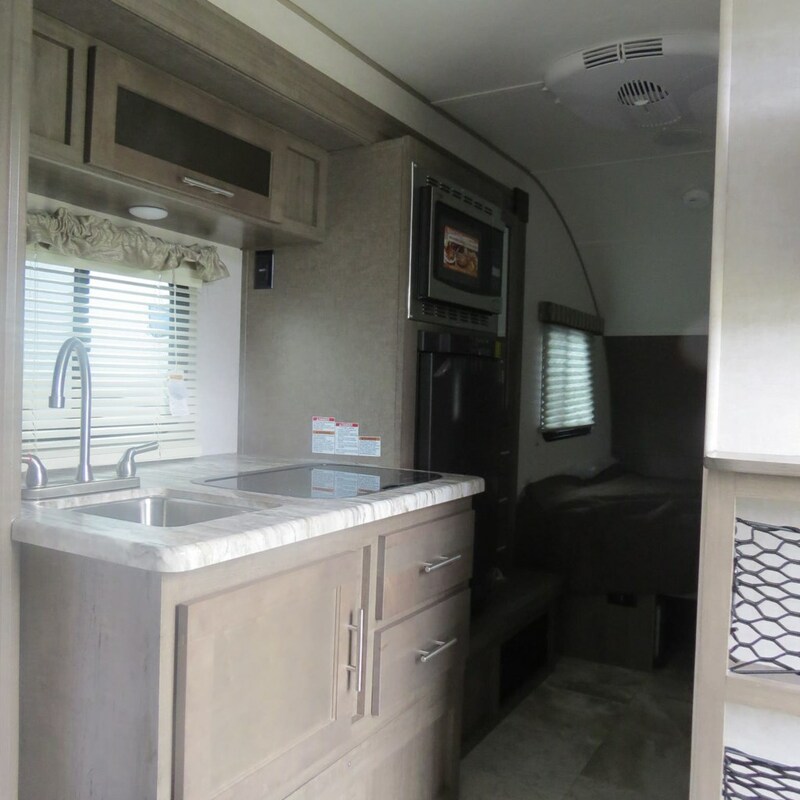 This tiny travel trailer is packed with luxury features that will make you feel like you are at home away from home. The R-Pod really puts the fun in functional. 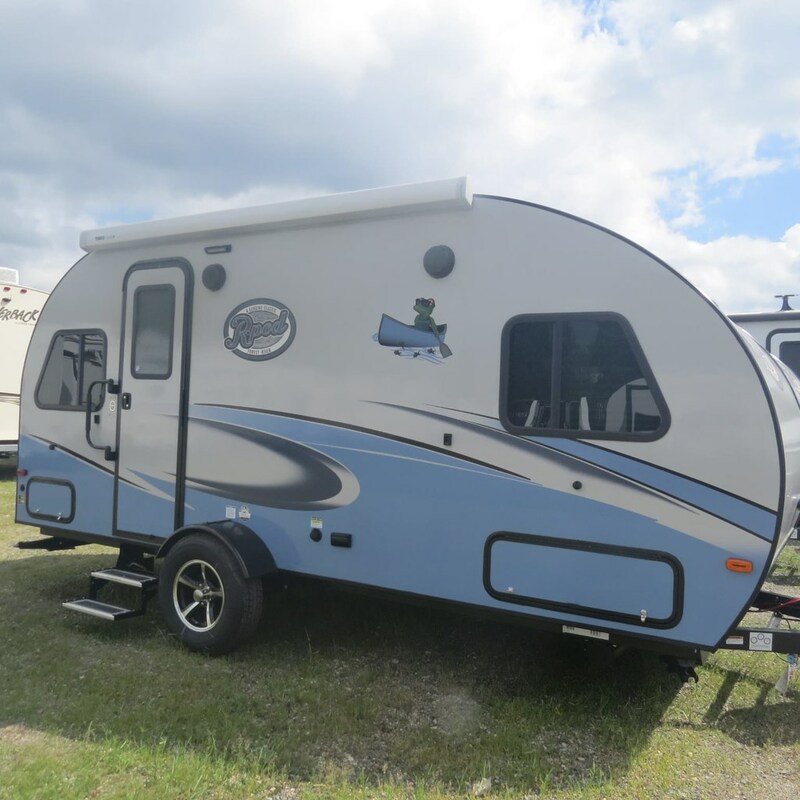 With an optional R-Dome perfect for spending time outside and an epic outside entertainment center in the rear garage model, there is no limit to what you can do and where you can go with this small but mighty trailer. Step inside the R-Pod for a beautiful slice of home. With a 6′ 6″ interior height, a wet bath with integrated toilet and sink ( some models have a dry bath), designer carefree flooring, solid lumber core cabinet fronts and so much more! You will be able to enjoy hitting the open road with your family as well! Plenty of room, despite the low tow weight for everyone to enjoy the great outdoors. Looking for an R-Pod in New Jersey? If you want to learn more about the Forest River R-Pod one of our customer service experts would love to advise you! Contact us today to see all of the available floor plans we have in stock!